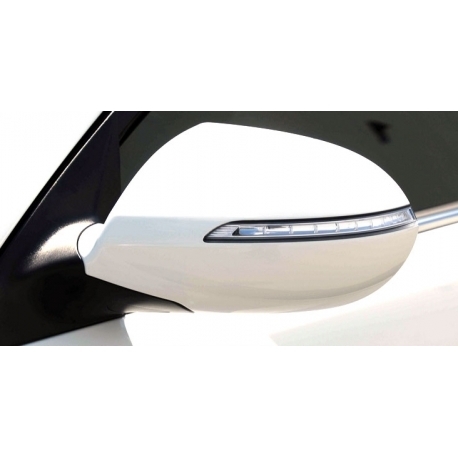 Side Folding LED Mirrors for any 2011-2015 Sportage R are made of high-quality ABS material and are attached to the stock mounting locations. 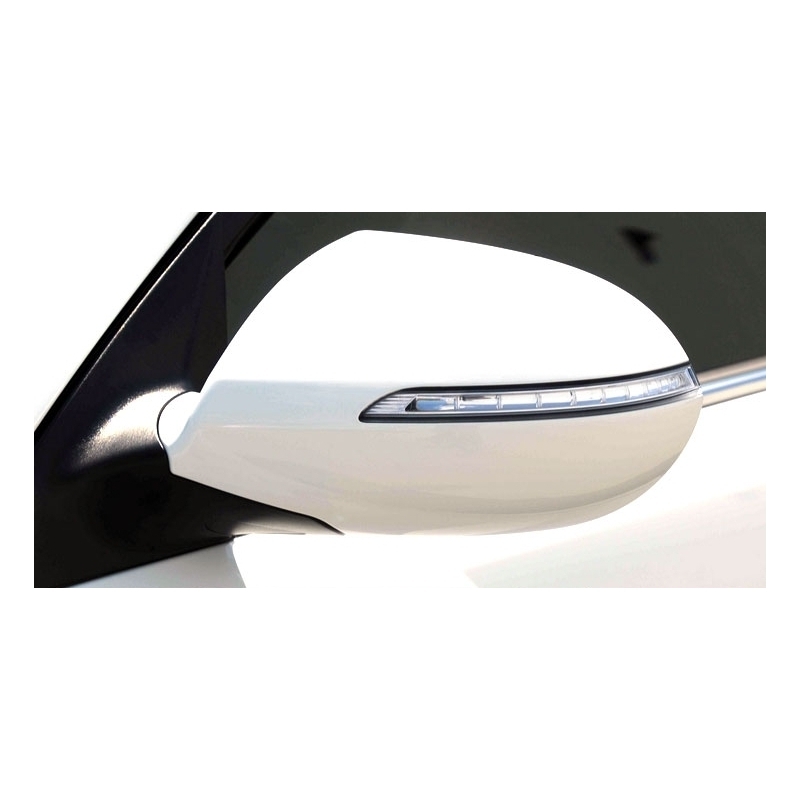 Non-LED equipped Sportage will require the mirrors to be wired to the turn signals. 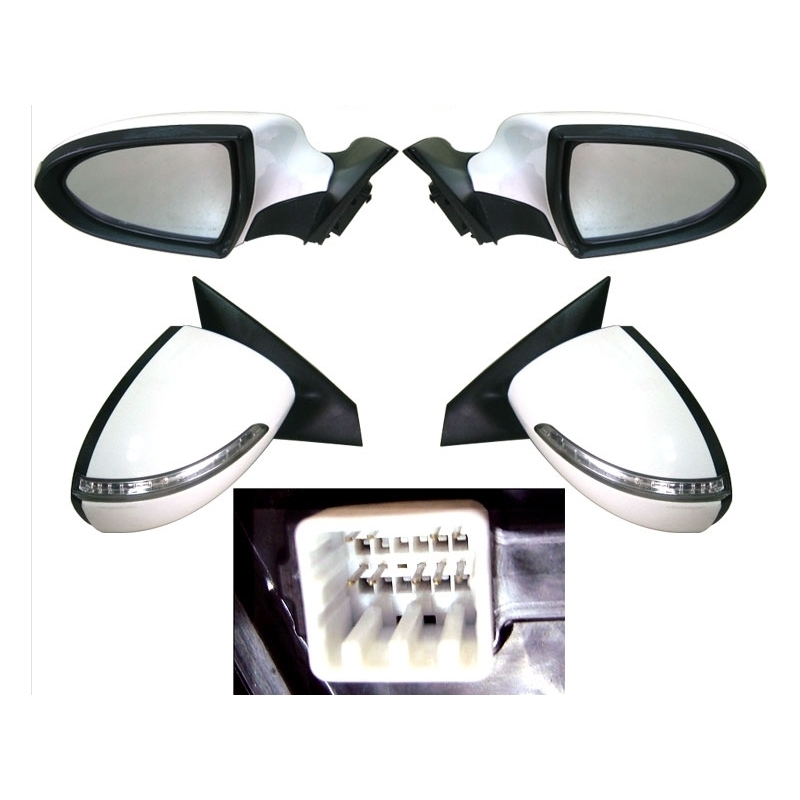 If your car came with LED mirrors from the factory, these are direct plug-n-play, including heated mirror feature as well. 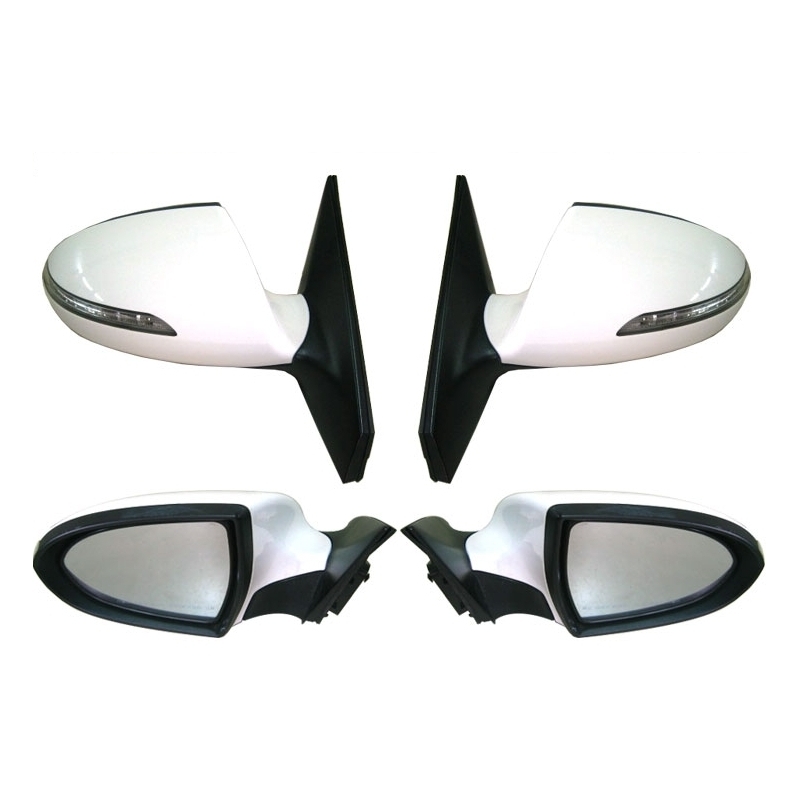 These mirrors also have automatic folding function and are already painted in the factory in oem colors. 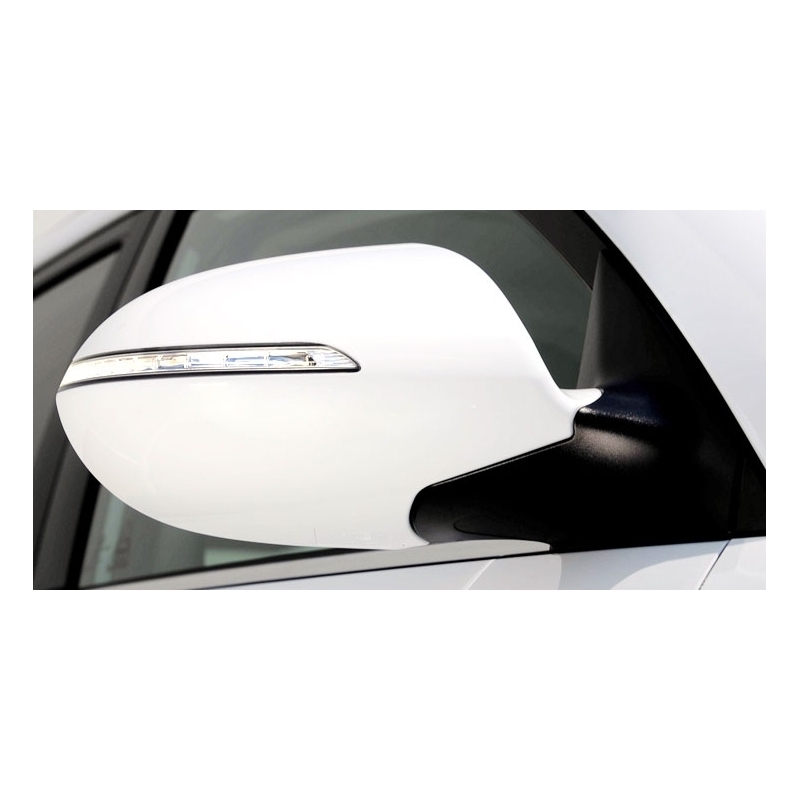 Note that mirror glass has lettering in Korean only, NO english!